This is the third and last post of the series “Black and White and Fine Art Photography”, you can read this post entirely as a standalone piece however reading part one here and part two here would give you a broader context regarding the type of discussion I’m proposing for this topic. In summary in the first post I basically set up the context for the discussion by introducing the idea that fine art photography and black and white photography are intimately related, in the second post I talked about the importance of developing an artistic vision for your work — particularly in fine art photography. Also, in the second post I outlined what I believe are the most important aspects to consider in order developing a unique artistic vision for your photography. Now, in this third part of the series I’ll talk about “crafting” a black and white image — a fine art image of course. I´d like to start recognizing that in modern photography the emphasis to craft images — whether like us or not — has shifted from the in-camera side to the post-processing side. In the film days once you had captured an image the next step was basically to develop the film in order to get the “best print” you could according to the artistic intent you had for that particular image and even though there were multiple “practices” to processing, printing and enlarging images there were so little things to do regarding altering the image to for example improve composition by cloning out distractions from the frame, actually the only tool to do so was to crop the final print. In digital photography you can go much further manipulating the original image by doing things like cloning out distractions, altering the background to create a more pleasant bokeh, globally or selectively altering the tonal range or contrast of an image and the list goes on and on. Now, how far you can go manipulating a particular image in post-processing, well that’s a questions that deserves some thoughts too, my simple answer is that “it is up to the artist (you! )” as long as you don’t pretend the image is something that it’s not. Many digital photographers limit themselves to use only those techniques that were possible in the traditional darkroom which I think is OK however in my opinion they are closing a door to the evolution of their own work. Other artists — including myself — have embraced digital as part of their workflow using any tools and practices at their disposal however they are still crafting classic black and white fine art images so, for these artists “the tools have changed the final product haven’t”, and finally there is a third group that radically alters the original in-camera image considering what the camera captures to be just part of the process, so final results can be radically different to what is generally considered classic black and white photography. Any group you’re in or you feel more identified with is totally your decision as an artist, and by the way galleries and art collectors will classified your work differently because of the way you craft your art, It doesn’t mean that your work will be more or less valuable, value in art depend on many other factors, I’m preparing a new post regarding this topic, stay tune. Certainly unless you’re color blind the natural way to perceive the outside world is in colors. So we need to learn to “visualize” a black and white image. First of all I usually look for shapes and textures in my monochrome images, for example in Image #1 the beautiful curvaceous shapes of the leaf perimeter as well as the intricate yet delicate external texture were difficult to perceive in the original color image because of the intense green color of the leaf so, after converting to monochrome it was evident that these attributes are key to the composition of the image. 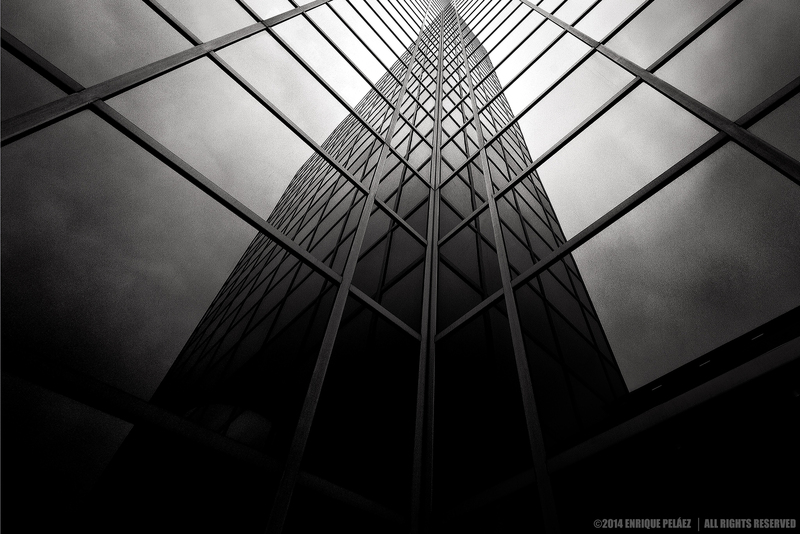 Besides shapes and texture you must also learn to look for lines and patterns that I should say for any kind of image — either color or black and white — are important in terms of composition but particularly in black and white they play a critical role in terms of making a successful image. See Image #2 below, in this particular image converging lines and patterns lead the viewer’s eye to the main focus of attention of the image — that by the way is also the brightest area where all lines converge at the top of the image. Last but not least tonal contrast is in my opinion the most important aspect that will make or break a monochrome image. All the drama conveyed in image #2 wouldn’t be possible without the wide tonal range in the image going from basically pure black (0 in Ansel Adams zone system) in the bottom of the image to pure white (10 in Ansel Adam’s zone system) on the top of the image. Principle #2 – Shoot color, RAW images. Ironically the best approach to create black and white photographs requires the photographer to be aware of the color theory in order to be able to manipulate how colors will render into specific gray tones during the convertion to black and white. The theory is very simple, when we apply let’s say a red filter to a color image the red tones will render brighter meanwhile the blue tones (opposite in the color wheel, a.k.a. complementary color, see here) will render darker, in the same way using a green filter will turn green tones into brighter monochrome tones while tones close to magenta will render darker, so this way we can control tonal separation in a monochrome image. The process then will typically take place in post-processing (applying filters to the entire image or selectively to parts of it) to create a monochrome tonal separation that harmonically support your vision and composition — see “how to” details in next paragraph. Now, getting a professional black and white image requires tons of careful crafting that in my opinion can be speed up using plug-ins. I use Nik’s Silver Efex as a starting point and then I fine tune my images using multiple Photoshop techniques such as layer masking to add tonality all the way up to simply burn and dodge, so I stick to the principle of knowing my tools and using them when it makes sense in order to get the best results in the shortest time so, even though I enjoy working images in my computer I rather prefer be out there capturing images with my camera than crunching pixels in Photoshop. Before we get into the third principle lets briefly articulate why it’s important to shoot RAW images. A complete post and more could be dedicated to analyze why shooting RAW is critical however for now I just will point out the in RAW format you can take advantage of some level of latitude (it varies from camera to camera and from maker to maker) in all the critical image attributes such as exposure, white balance, sharpening, etc. 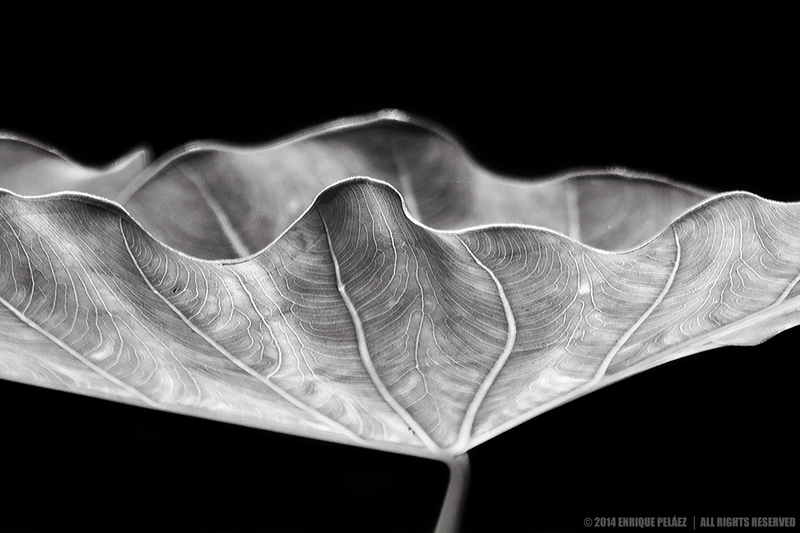 that are critical to create a pleasant monochrome tonal separation that support your vision. A typical discussion among digital black and white photographers is the use of plugs-ins to convert to black and white. There are simply too many approaches and tools to convert color images to black and white since simply de-saturate the image all the way up to using plug-ins such as Silver Efex Pro and others. So if you follow me in my blog you might noticed that I’ve posted (and I will keep posting) a number of posts describing the workflow I’ve followed to craft some of my images, you can quickly find them by typing “Making Of” in the blog search line at the right top of your screen, these short readings can give you a better idea of my approach to work black and white photography and please feel free to reach out. For now I just want you to remind you that if you want to receive direct notifications when I publish new posts in my blog you can subscribe to my blog.